It is an unobtrusive means of defence, which will always be at hand. 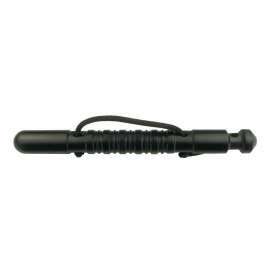 Tactical Pen is made of durable aluminium alloy used for airplanes. The screw cap is equipped with a special tip breaking glass barriers. 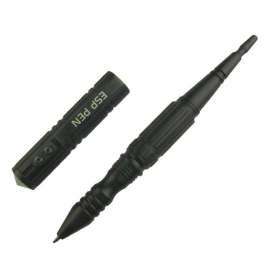 Brand replaceable cartridge with black ink provides writing with line thickness of 0.5mm. 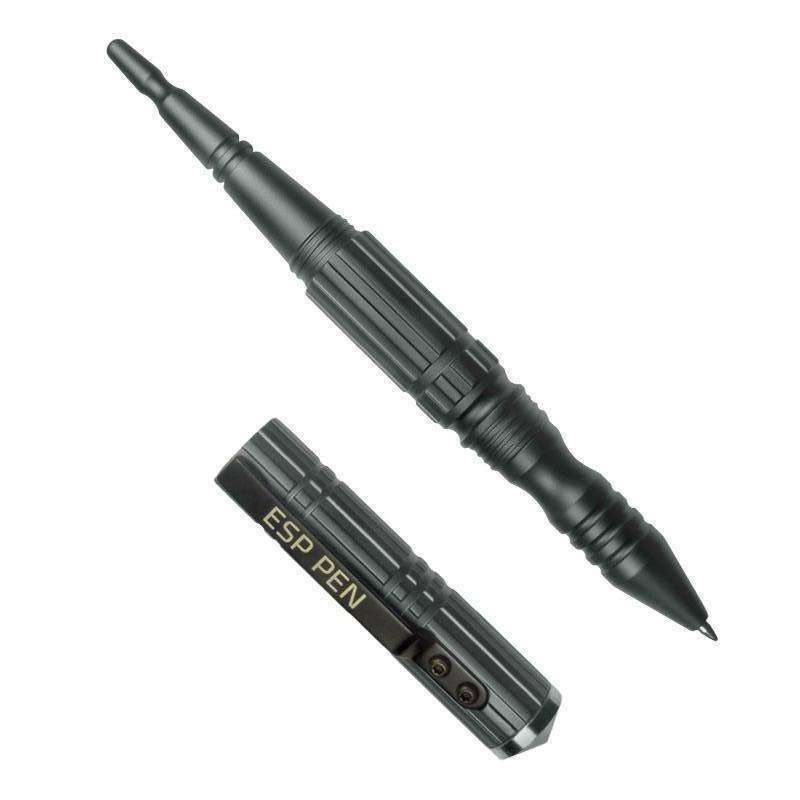 Tactical Pen ESP is a perfect combination of a ballpoint pen and Kubotan. It is an unobtrusive means of defence, which will always be at hand, and yet you do not arouse suspicion of others. Tactical Pen is made of durable aluminum alloy used for airplanes, which easily enables you to make with this pen hits or pressures on the neural points of the attacker. Its ergonomic shape and distinctive grooves ensure sure grip. The screw cap, which is equipped with a special tip, can and which thus be used for breaking glass barriers, can be screwed onto both ends of tactical pen. 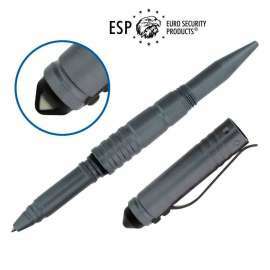 This cap has also a clip providing secure gripping of the pen e.g. in a breast pocket. Brand replaceable cartridge with black ink provides writing with line thickness of 0.5 mm. It is supplied in an exclusive gift box.